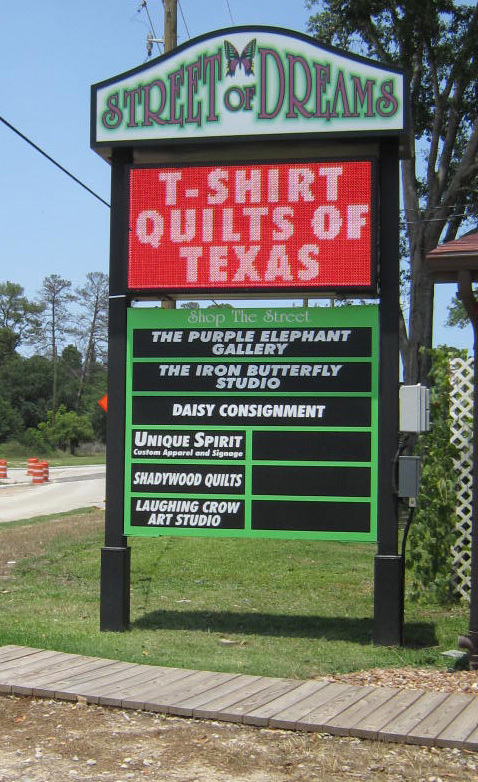 Shadywood Quilts has been in business since 2001. 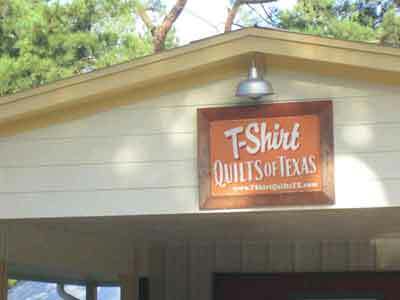 In 2006 we expanded our business to add T-Shirt Quilts to our lineup and changed our name**. 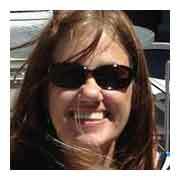 I am a member of several professional organizations and remain current with the latest techniques and designs by attending Quilt Market and several instructional courses each year. I take pride in the high quality of the quilts I make. In addition to my love of quilting, I love T-Shirts, and enjoy seeing each new collection that comes through the door! They say that if you do what you love, you nev er work a day in your life. In September 2012, we moved to our new location. The shop is almost double the size of our old location on The Street of Dreams. Our Gammill Longarm is enhanced with the Intelliquilter computer and enables us to give you the highest quality quilting available. 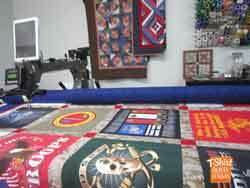 Every quilt is professionally quilted for durability.